Note: I purchased this tent with my own funds and receive no compensation from Tarptent. two doors and two vestibules! 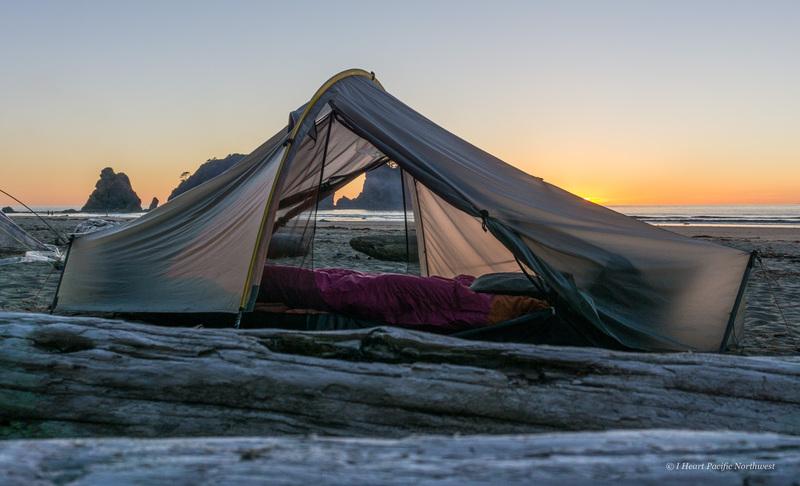 Tarptent is a cottage industry company specializing in ultralight and lightweight tents. They are based in Nevada City, California, and all of their tents are sewn in Seattle. 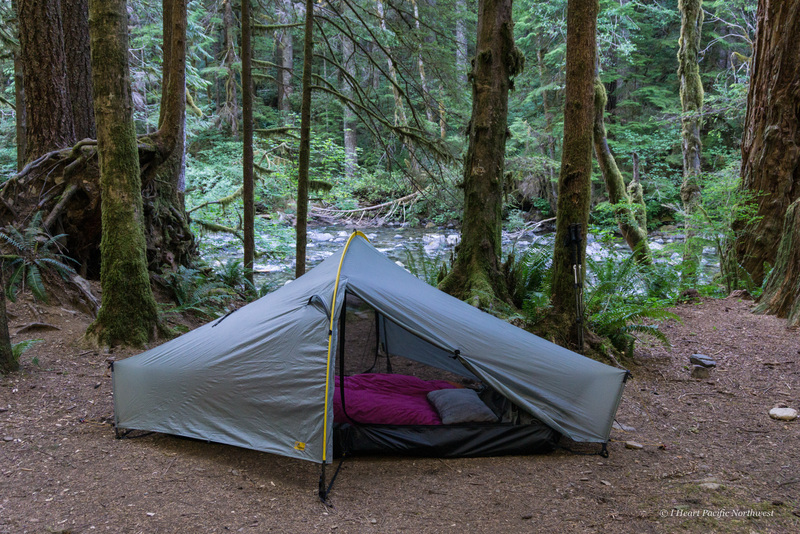 Their products are not sold in outdoor retailers and need to be purchased directly from Tarptent. Unlike most one-person tents, the Moment DW has two doors and two vestibules, providing options for entry/exit and additional gear storage. It also helps make it easier to setup to take advantage of wind direction for ventilation, or for setting up the perfect pitch for snagging views from inside. I like to use one side for entry/exit from the tent, and the other to store my backpacking chair when I’m not using it. 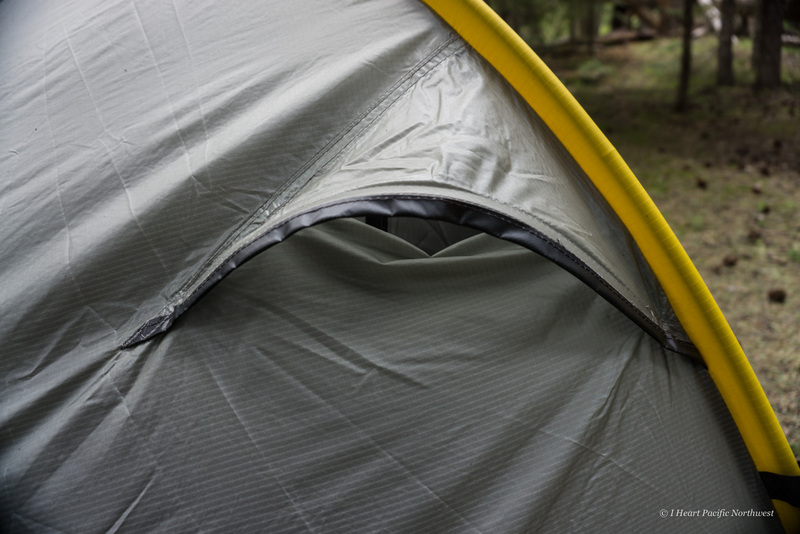 Pitching is extremely fast: insert the arch pole into the rainfly sleeve and then insert two stakes – one at end of the tent. The interior is clipped to the rainfly so it stays dry during set up. 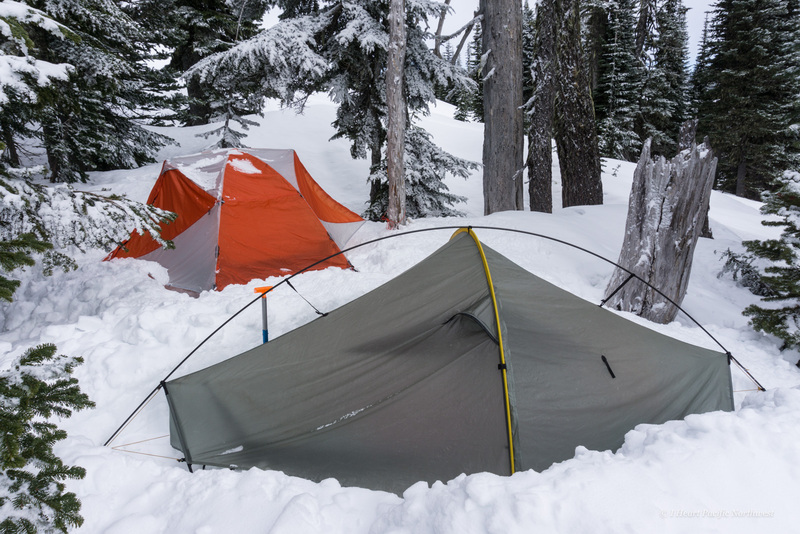 An optional crossing pole can be purchased to make the tent freestanding, but I find that it’s not necessary for three-season camping. 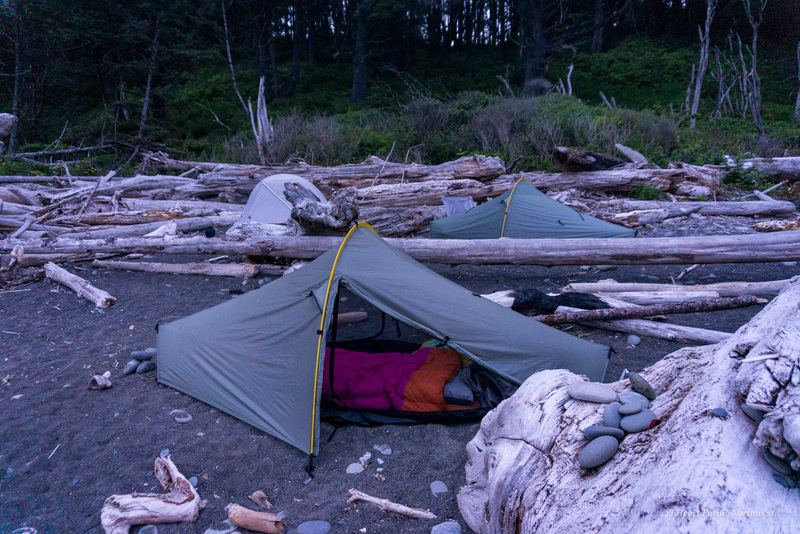 The two stakes have always done a great job of holding the tent in place, including while camping on the beach in the sand. The rainfly and interior floor are made using 30D silnylon, a waterproof fabric coated with silicone that is strong and abrasion-resistant. 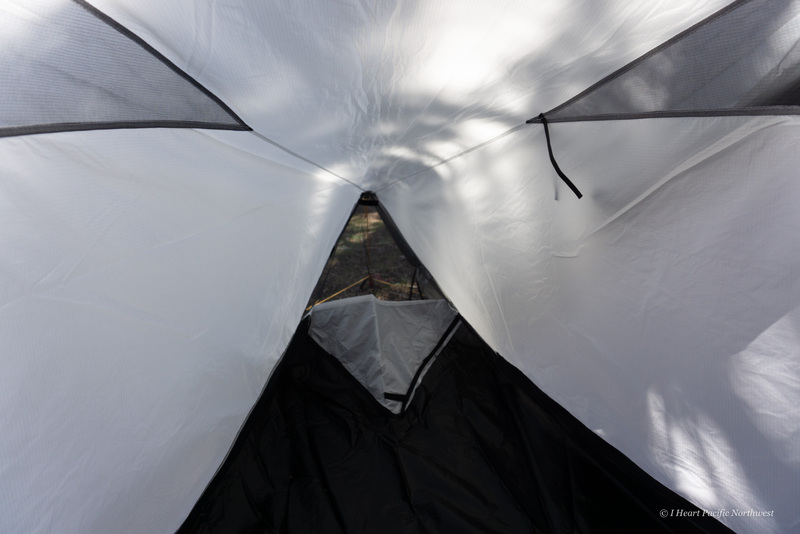 Even after a lot of use, my tent still looks like it is new, with no holes, zipper issues, or mesh snags. I did need to replace one segment of the arch pole when the tip came loose, but switching it out was easy with the replacement segment provided by Tarptent. 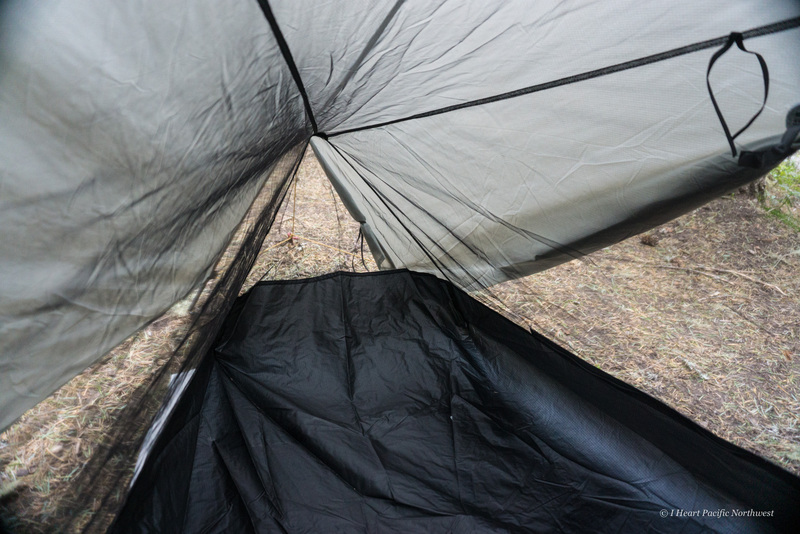 The Moment DW features six options for ventilation: two apex vents on the rainfly that can be opened or closed while inside the tent; both ends of the rainfly struts have flaps that can be opened or closed for ventilation; and both sides of the rainfly can be raised higher and clipped to hold the into place when more airflow is needed. 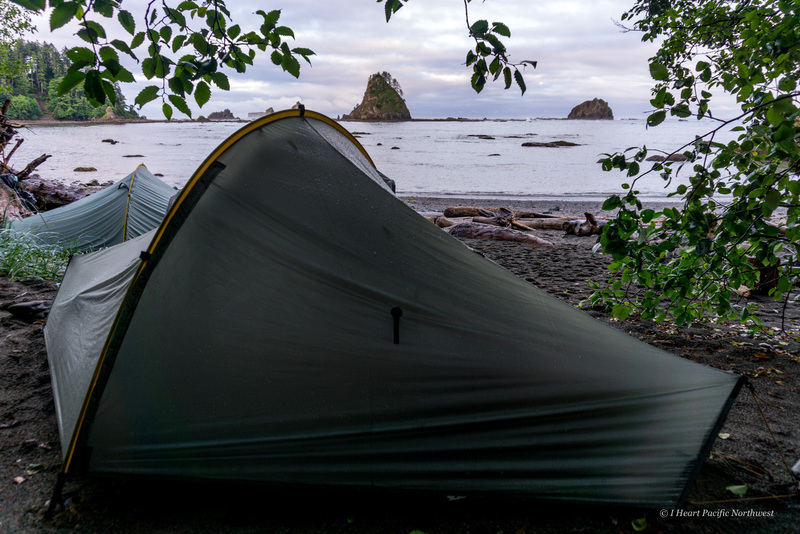 I managed to stay dry inside the tent while it rained all day on an Olympic Coast backpack, during thunderstorms at Goat Rocks, and in light rain on multiple backpacking trips. I keep the apex vents and the end struts open to reduce condensation. I’ve only had condensation build up inside the tent when I camped in heavy fog at the coast and on a winter backpack when it snowed all night. Even then, the condensation was on the inside of the rainfly and not the inner tent. 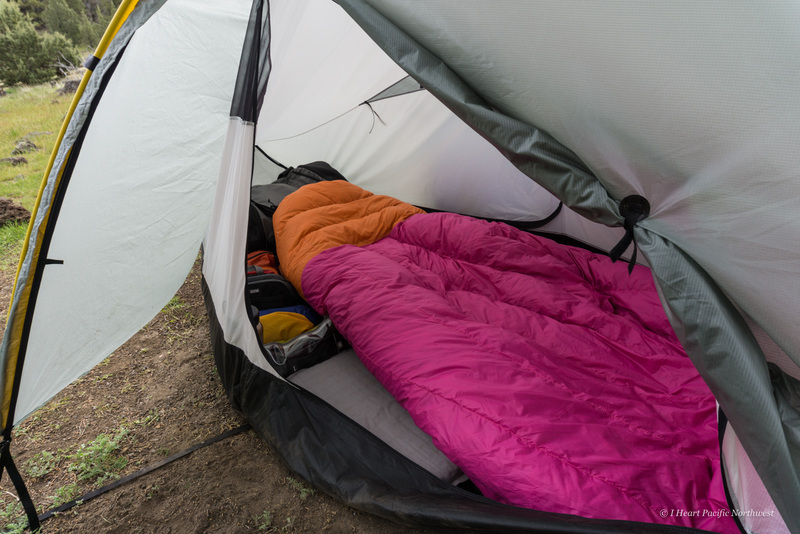 The tent floor has an elongated diamond shape, which means that there’s more space in the middle and it’s tapered at both ends – perfect for storing gear for easy access. I’m only 5’1″, so I have more space inside than most people, although I still use a full length (72″) sleeping pad. I place the bottom of the pad at the end of the tent so my feet are at the narrow end and my head is closer to the middle of the tent. When I sit up, I’m in the tallest part of the tent with plenty of head space. I keep my backpack inside my tent, placing it at the top of the sleeping pad just above my head. There’s plenty of space on one side of my sleeping pad for storing everything from essentials to first aid, toiletries, my camera, etc. On the other side, I place clothing items I’ve worn so they can air out overnight. I usually keep a sit pad inside the door of the tent to protect my knees when getting in and out. I purchased both types of interiors: the all mesh version is great for warm weather and the partial solid fabric version is good for colder conditions and snow camping. 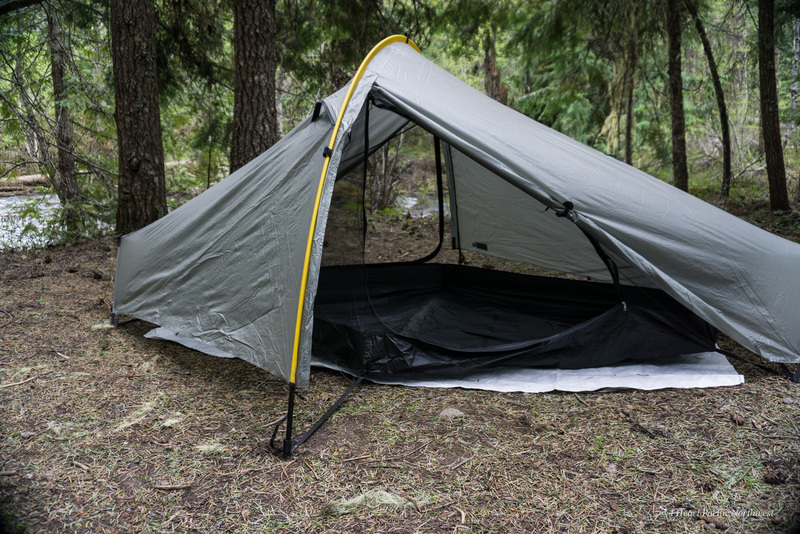 The partial solid version has a small amount of mesh at the top of each side, and flaps that open and close at each end of the tent for ventilation. 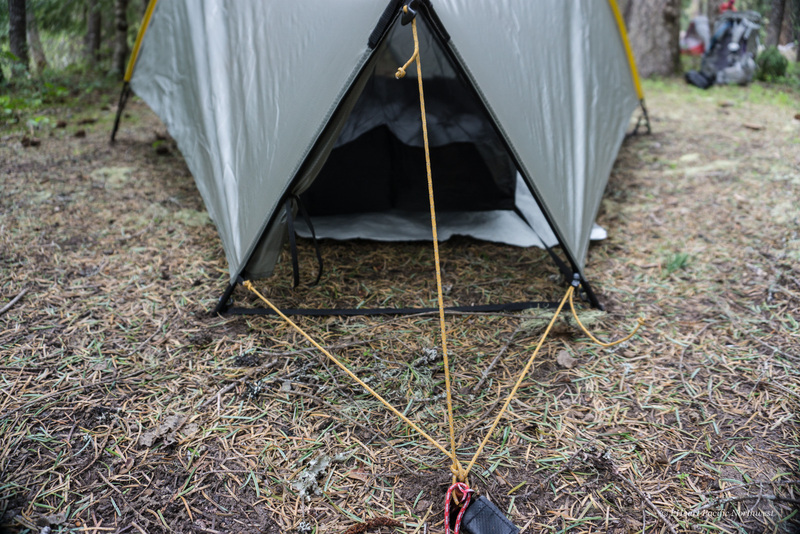 The inner tent attaches to the rainfly from the inside using mitten hooks, so to switch out the inner tent, disconnect one and attach the other. For handling light snow loads, I purchased an optional crossing pole. 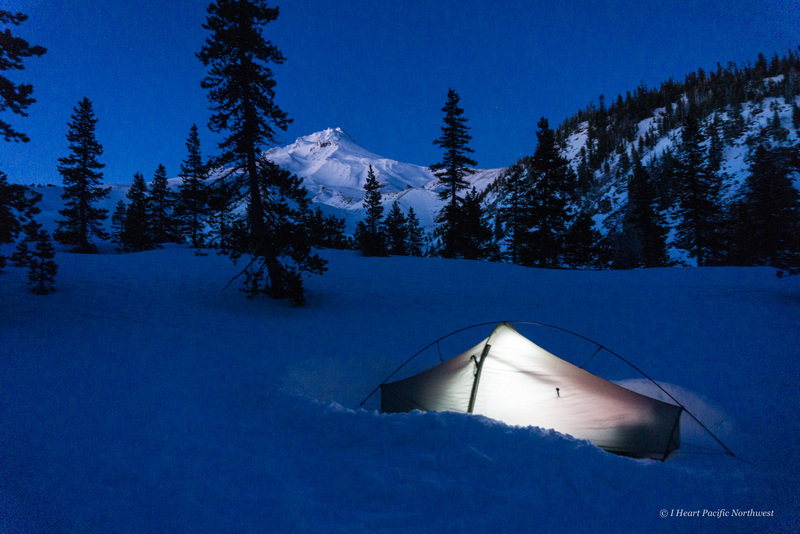 I’ve used the Moment DW on two snow camping trips: the White River Canyon at Mount Hood, and Paradise at Mount Rainier. On both trips, I stayed warm and dry inside my tent and I didn’t have any issues with snow load when it snowed for 12+ hours at Mount Rainier. For set up, I added guylines to the end struts so I could bury the tent stakes in the snow. For the price and the weight, I find the Moment DW to be an excellent shelter that’s great for varying conditions. I’m sure it’s going to be my go-to tent for many more years.